LAS VEGAS — Recognizing shortcomings in the way data centers are evaluated, Switch is introducing a new proprietary Tier 5 Data Center Standard that it expects will be the most comprehensive standard in the industry. Tier 5 not only encompasses the resiliency and redundancy in other data center ratings systems, but also evaluates more than 30 additional key elements, such as long-term power system capabilities, the number of available carriers, zero roof penetrations, the location of cooling system lines in or above the data center, physical and network security and 100-percent use of renewable energy. Original authors of the Uptime Institute standards agree it is time for a new standard. Switch’s industry background and experience provides a unique position to evaluate and develop data center standards. Switch has more than 260 patented and patent pending claims and pioneered 100-percent Hot Aisle Containment Rows and Exterior Wall Penetrating Multi-Mode HVAC units: two of the most important design strategies to creating a resilient and efficient data center. In 2014, Switch became the first and only carrier-neutral colocation facility to be certified Tier IV Gold by the Uptime Institute. Then in 2016, Switch became the only colocation provider to accomplish Tier IV Gold certification twice. For each facility, Switch obtained certification in both Design and Facility categories. Switch also obtained Gold status for Operations. Switch went through the certification audit an industry leading two times to further reinforce Switch’s technology leadership and add transparency to its product and service offerings. Renaud and other industry experts understand that major threats to data center uptime include water damage, reliance on too few telecommunication carriers, being located in a high-risk geo zone, and inadequate physical and network security. These mission critical elements are not being evaluated in other tiered data center rating systems. Switch believes this lack of transparency and holistic relevance makes it difficult for chief information officers and data center managers to understand the deep dive differences between colocation product offerings when selecting a provider. 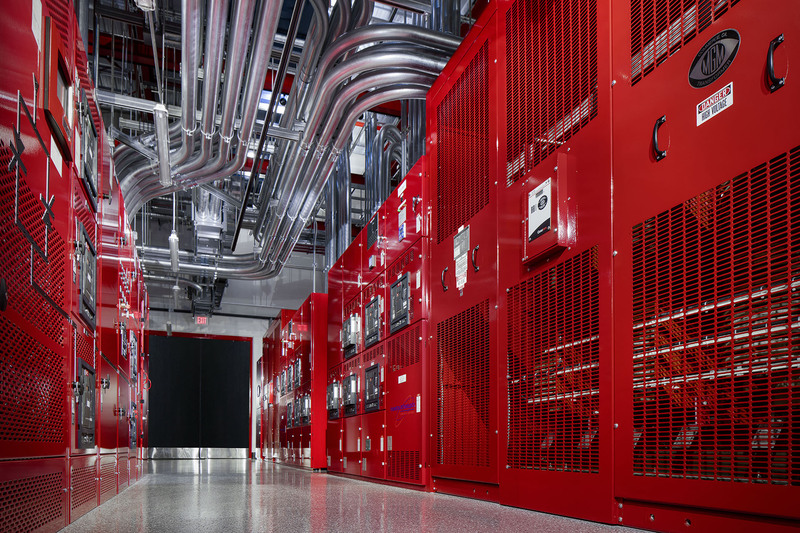 Switch is introducing this new Tier 5 standard in an effort to reduce the lack of transparency and enhance the reliability of data center rating standards. Switch plans to use the Tier 5 standard as the first step to create the new and open, Data Center Standards Foundation (DCSF). DCSF will be an independent, non-profit standards body led by leading technology companies and industry experts, including the original authors of the Uptime Institute. The DCSF approach will be in contrast to entities like the for-profit Uptime Institute, which sells its certification services to the same customers pursued by Uptime Institute’s parent, the 451 Group, creating conflict of interest and independence questions. Rafter recently joined Switch to help with the DCSF effort. The DCSF’s non-profit status will remove the conflict of interest inherent in a standards body acting for-profit. It will also provide a low-cost certification program for enterprise and colocation data centers. The DCSF’s mission will be to increase truth and transparency in the data center industry by publicly posting its standards and vigorously defending against misuse of its classifications. Current standards concepts let some companies fraudulently misrepresent their data centers as a certain tier or quality, when they are not. This has become a problem that has plagued the data center industry around the world. For more information on Tier 5 please visit www.switch.com/Tier-5.